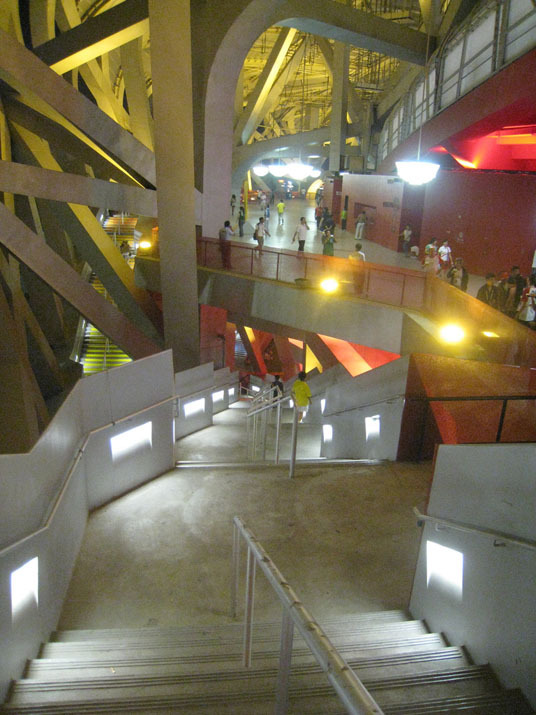 The inside of the bird’s nest is one of the less documented aspects of the building. The spatial relationships are quite spectacular. Check a collection of pictures on flickr by Manuel Ocana. Pretty amazing. I never thought the Chinese would allow interior photography. This is my first view seeing inside the Birds Nest. Thanks for showing it.